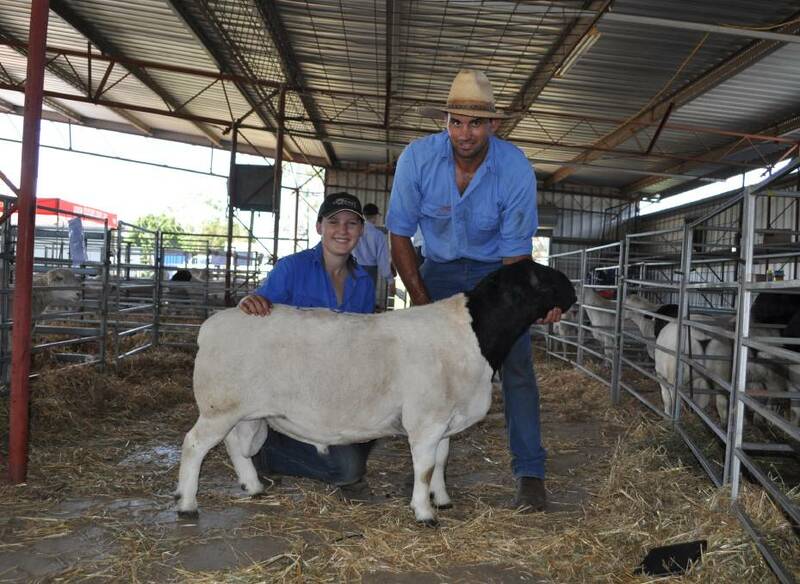 The 10th annual Queensland multi-vendor Dorper and White Dorper ram and ewe sale sold to a top of $2000 and average of $1012 for the ram draft and three ewes sold to average $566 at the St George Showgrounds on Monday. The top priced ram on the day was sold by Francois Smit, Smit Dorpers, Boondarra, Roma, for $2000 to David and Eliza Mack, Wyoming Dorpers, Moonie, after just falling shy of his reserve during the auction, but was quickly snapped up within moments of the hammer falling. Mr Mack said he was looking for bone structure and good muscle to run with his stud flock and this great sire offered that in spades. At auction the second top price of $1800 was reached first by Amarula 176845, a Dorper ram offered by Justin and Lorroi Kirkby, Gravesend, NSW, and was purchased by Stephen Pott, Glenleigh Talwood. Mr Pott also purchased four other lots to average $1140. Click here to read the full story by Jane Lowe for the Queensland Country Life.